The Learn! Foundation has the ANBI status. Since 2008 the Tax Administration in the Netherlands can designate an institution to be a ‘Public Benefit Organisation’ (called ANBI). At least 90% of the efforts of an ANBI has to be focused on the general good. People who donate to an ANBI can profit tax advantages in the Netherlands. The Learn! Foundation is also recognized as a charity by the CBF. This Central Bureau on Fundraising (CBF) is an independent foundation which has been monitoring fundraising by charities since 1925. The CBF’s task is to promote trustworthy fundraising and expenditure by reviewing fundraising organizations and giving information and advice to government institutions and the public. When a charity has been recognized as a charity by the CBF, you can trust that the organization has been closely reviewed. 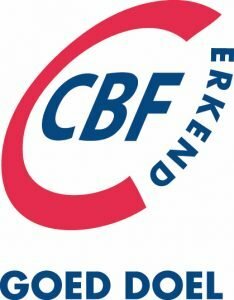 For more information about CBF Erkenning (in English) please click here.